Been shoveling this down me since the raw age of 16 and now I'm an absolute weapon. Helps for those days where your chicken gonzo after a heavy sesh (usually legs, if you do em.... which i don't) and need some boosting for the next day. Rate this product, 2 scoops a day, one before and one after your sesh, mix it with milk and your good to go. Plus, the flavors are proper mint, don't be a tightarse and save like 2 bar 50 by getting unflavored,if you do your like that family relative who sellotapes a one pound coin to the inside of your card, like cheers bro. Anyways 10/10, cop this asap to be looking like a fully loaded AK for summer. I've been buying this product for years and it is superb. Especially with the special offers that are always on, it's easily the best value for money, the flavours are amazing and the nutrition is on point too. It's by miles the cheapest and easiest way to make sure you fill your protein requirements. I've gone for 4 on mixability because, although it mixes very well, it's just a little better if you blend it or use a mixer ball. Effectiveness is certainly very good but I hesitate to give it a 5* because it obviously depends on so many other factors, like the rest of your diet and your training. For me, I've mainly tried to maintain muscle mass and recover well from workouts and it certainly helps with both of those. I've had a quite a few flavours now so hopefully I can help a little with the difficult choice of which to go for. Chocolate smooth - standard, pretty good, just a basic chocolate flavour. So much better with milk than water. Chocolate brownie - like a better, richer version of chocolate smooth. Really good. Banoffee - it's a bit odd. It's a kind of sickly banana and toffee flavour. I feel like we expect it to be good because banoffee pie is really good but actually banoffee pie is good because of biscuit and caramel and the banana/toffee flavour here doesn't really do it. Apple crumble and custard - don't go big. It's alright. It tastes of apple and a sweet, milky flavour. You wouldn't want a big bag but it's fine. Chocolate peanut butter - doesn't quite do it. Nice idea and I was excited but it's just like chocolate smooth with a bit of a funny aftertaste. Chocolate coconut - I personally don't like it but I know some people do. It's not like a Bounty - it's more like chocolate with a kind of tangy, quite artificial coconut aftertaste. I don't think it's that good, and also why not just get chocolate and add some coconut extract? Cinnamon Danish - this is one of my go to flavours right now. It's really good. It's vanilla and sweet and cinnamon-y but also there is a definite flavour of pastry or bread which actually is really good. Golden Syrup - I had a sample first and now I have a whole bag. I think this is incredible. If you like golden syrup, it's amazing. It's really sweet so I think it'd be a little sickly if you just drank loads of shakes but definitely if you do things like cooking it into pancakes etc. then it's be really good. Honestly this is a great flavour. Maple syrup - I like maple syrup but found this a bit overpowering. Maybe cooked into things again would be better. It's good and very true to maple syrup but possibly a bit strong. Lemon cheesecake - quite artificial, not very cheesecake-y but not a disaster. I'm still on the fence. Sorry if that isn't very helpful. I'll try it again! Salted caramel - really good. More sweet than salty - you could always add more salt if you're after that taste. But it has a rich flavour and it's good. Rocky road - genuinely I think this might be the most disgusting food I've ever tasted. A sort of nearly ok chocolate flavour to start and then just the most vile, sickly, sticky, artificial fruit flavour which gets into your nose and makes you want to gag. Really, truly horrible. Cookies and cream - it just tastes of vanilla. It's nice. It's kind of milky and sweet. Nothing to write home about. White chocolate - pretty much the same as cookies and cream. It's just a generic sweet, creamy, milky flavour which is quite nice but nothing crazy. Sticky toffee pudding - it tastes of toffee. It's good. If you really like toffee, get it. If you prefer the taste of chocolate or caramel or syrup or whatever, don't be excited by the fact it's named after a dessert. Just get one of the other ones. Banana - this was my first ever so my memory is a bit rusty. I think it was quite boring and possibly a bit too sickly but not terrible. I think the fruit flavours are all quite artificial. Also, just eat a banana. Have a shake you can't eat. You probably won't have all that many bars of chocolate so it's quite nice to have a chocolate shake. However, you probably will have a few bananas. That's all I've tried. Just go for samples and judge your favourites. I think chocolate brownie, golden syrup, salted caramel and cinnamon danish are the best but a lot comes down to personal taste. I hope this helps. Enjoy! Although they're all great with milk and almost as good with water, I really recommend cooking with these. Protein pancakes are a must and cakes and so on are great too. Get some decent recipes and if you enjoy eating don't just drink your calories. Make something with a bit of substance! For pity's sake, is anyone actually going to review the products effectiveness and stop harping on about the taste? "oooooh it tastes lovely", "chocolate is the best".... We don't buy this for the taste! We buy it to supplement our diet and bulld some good lean muscle. Go and buy some nesquik if all your after is a tasty milkshake. By the way, it's a great, quality supplement and I got some good gains... FACT! Has anyone actually weighted a scope? I love this product, amazing flavours at a great price. My only concern is the measurements. I just weighed a scope and it was about 50g, double the packets instructions. For those watching their calories/macros this can be really deceiving and just shows why it is so important to weigh everything rather than rely on scopes for measurements. Mocha: Being on a maintenance/cut and loving coffee and its flavor, this was perfect. Has the right amount of coffee-to-chocolate ratio although they both could be a bit richer in taste, simply due to my sweet tooth and preference. Has a biscuit type flavor to it that was unexpected but its so good! I have it with water in the morning and fulfills that coffee taste i search for! 10/10 Strawberry Cream: PERFECT! I extremely enjoyed this on a cut, the most consistent flavor i have ever had in terms of easiness to drink and not becoming sick of the taste. Definitely the most reliable if you are looking to start off with this product! Mixed with water was probably better than mixing with milk and made it taste like a milkshake! Haven't had it in a while and probably sits in the number 1 spot simply due to how reliable and enjoyable this flavor is! 10/10 I may add that there is a consistent mixability throughout all flavors at a very high standard and actually texture of protein, never experienced a problems with lumps with this brand and protein content is great! Would advise weighing scoops when watching macros as the protein can become quite compact quickly! Seen major gains when cutting and when bulking! An all round very reliable and recommendable protein product that can be used all year round with a clear goal, diet and exercise! 10/10 would recommend to anyone unsure of a reliable protein supplement! Milk, Water, Almond milk. Mixes well with oats, fruit, peanut butters and cinnnamon!! Buckle up people, I know why you're here. I scrolled through comments endlessly looking for someone to convince me that one of the obscure flavours I wouldn't normally go for was secretly the best one. After a few years of slowly working my way through the flavours I got impatient and bought 13 flavour samples, and I'm glad I took the time. Now I'm going to take a blind swing at describing taste through a keyboard, hope it helps. Banoffee 7.5 - While it tastes genuinely pretty great, and the toffee part really jumps out, the banana part (as can be expected) tastes very much like the standard synthetic banana taste that we're used to. Blueberry 7 - Tastes great, mixes with fruit and berries pretty well, but by itself doesn't resemble blueberries all that closely. Blueberry Cheesecake 8 - Very similar to blueberry, naturally, but with a kind of mellow and more palatable creamy twist. Chocolate Brownie 7 - A pretty good taste, one that goes great with a bit of instant thrown in, but not a taste that actually resembles chocolate all that closely. Cookies and Cream 9 - Tastes the way a Millie's Cookies store smells, I managed to smash a 5kg bag of this without getting bored of it, but I could see how it might be too sweet for some people out there. Cinnamon Danish 9 - Tastes like Christmas. Somewhere between an actual cinnamon danish and gingerbread, but in either case a really great flavour. Another 5kg bag down, however, like cookies and cream, the flavour tends to overpower anything that you try to mix it with. Chocolate Nut 10 - Should have been called hazelnut. Doesn't taste like Nutella, tastes more like the inside of a Kinder Bueno. As a guy that prefers hazelnut ice cream over all others, this was an absolute winner for me. Chocolate Peanut Butter 8 - Pretty good, the peanut butter aspect is real, but the chocolate part doesn't really do the convincing. I used it to curve the peanut cravings when I was dating someone with allergies, and it did a pretty good job. Coffee Caramel 9 - Yeah, I could drink this basically all day. The caramel part isn't overly sweet but is super tasty, and the 'coffee' taste is like what you'd find inside 'coffee chocolates' if you've ever had them. Latte 8 - Much more like the inside of 'coffee chocolate', still pretty awesome. Lemon Cheesecake 8 - Have you ever had one of the lemon viennese cream biscuits from tesco? Tastes pretty much just like that. The lemon taste was pretty overwhelming though, not sure if I should have used more milk but still I liked what they were going for. Mocha 7 - Even yet more like any espresso chocolates you've had. Latte was a better version of a similar idea, in my opinion. Maple Syrup 9 - Here we go kids, I'm Canadian so I don't play around with this. Ever had a maple biscuit? Kind of like a shortbread but deeply mapley? You get where I'm going with this. Spot on, I was super impressed. Pecan Pie 8 - Tastes like the real deal, a pretty clear maple undertone, just like my Grandma makes. Doesn't mean that I wouldn't get over-pecanned with a 5kg bag though. Raspberry 8 - Very modest, but a pretty genuine flavour. For those of you that like mild flavours, this won't overpower anything you put into it, berries and whatnot especially. Salted Caramel 10 - Absolute keeper, tastes genuinely identical to a salted caramel milkshake I had enjoyed in a diner the night before. I can see all kinds of potential to mix it with stuff too. Tiramisu 8 - Almost strangely accurate as a flavour. I was probably more sceptical about this in particular than any of the others, but on a real, its pretty good. White Chocolate 9 - Another really great one, far closer to the real article than their regular chocolate flavours, I would say. I'd smash a 5kg bag for sure. Just for reference purposes my scoring breaks down as follows 1-3 anything with spirulina in. 4-6 I could make it work in a pinch 7-8 is where you start to outright enjoy drinking it 9-10 I'm grabbing a 5kg bag because I can see myself craving the flavour at any point. All of these were tested with milk not water. Milk for sure. I don't enjoy whey with water. 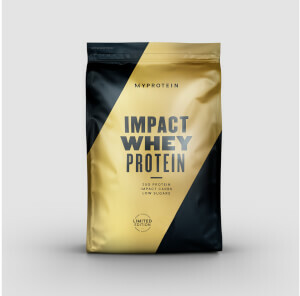 I got my butler, Jeeves, to purchase two bags of this delicious powder of protein, and both flavours (chocolate nut and sticky toffee pudding) were quite delightful. When one is hunting peasants, you do tend to get quite tired but this whey protein restores your muscles so you can keep chasing and flogging for much longer! The tears of waifs and strays. I've had four 5kg bags of this. The first three bags were fine - really effective and it mixed up really well. The fourth bag is awful. It's a completely different product, it doesn't mix at all, and it ends up totally sloppy and undrinkable. 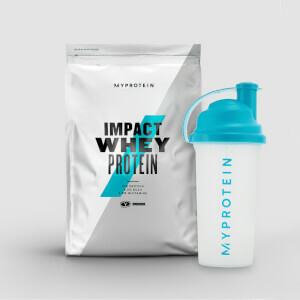 I contacted myprotein twice and they've sent me two standard emails saying each bag may be slightly different due to it being a natural product. This is absolute rubbish, it's not the same product in the bag! I didn't want a refund, I expected them to swap the bag for a new one. 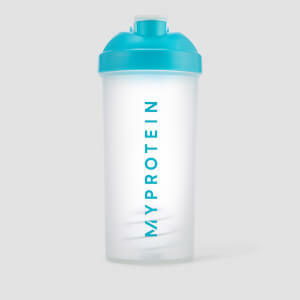 How disappointing - I won't be buying any more from myprotein. Have tried the banana, choc and summer fruits - all palatable (if a bit too sweet). But tried lemon cheesecake and it is the most revolting thing I have ever tasted. It has an overpowering chemical aftertaste. I couldn't drink a full shake even if I attempted to down it in one go. Tried baking it into cookies but the cookies taste of it too. In the bin! Sorry. Lemon cheesecake flavour goes well with the dustbin. Unflavoured with skimmed milk & creatine - yes please! I used to buy the chocolate flavour religiously until one day I decided to save some money and step my nutrition up a notch. I expected a peg on the nose moment when I first drank it but was very pleasantly surprised. Unflavoured (with skimmed milk for me) isn't a compromise as it tastes just fine. I tend to use a hand blender but the shaker will mix it; hence why I gave 5 stars. Also, I like the fact it only requires minimal liquid - it's a quick and easy way to achieve results. 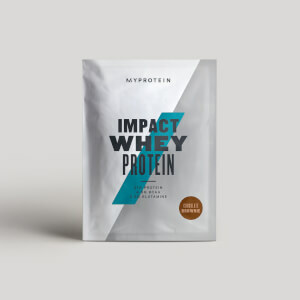 Save yourself some money and avoid the reduced protein content supplied through the flavoured options; ranging from 3% to 8% decrease in protein.